DETROIT - Jan. 9, 2017 - PRLog -- Buckfire & Buckfire, P.C., a Michigan-based personal injury law firm, has published the first infographic depicting the historical timeline of the Martin Luther King Jr. National Holiday. Today, more than ever, the message of Dr. King resonates loudly with new generations in this country. This easy-to-read infographic can be used to teach important lessons to students about civil liberties, human rights, and tolerance. Buckfire Law created the MLK Day infographic because of its dedication to diversity. The firm awards annual diversity scholaraships to both medical school and law school students who exemplify the ideas and teachings of Martin Luther King Jr. in their personal and educational history. The scholarships have helped students afford the cost of attending professional school across the United States. We encourage you to share it with friends, family and colleagues, and post it on your website. The infographic can easily be embedded on Facebook pages, blogs and websites by copying and pasting the embed code. About Buckfire & Buckfire, P.C. : Founded in 1969 by David Buckfire, Buckfire & Buckfire, P.C. represents clients injured in all types of accident and injury cases. The top-rated law firm offers a number of academic scholarships to assist exceptional students with high academic achievements complete their education. For more information about the scholarship programs, contact the scholarship committee at info@buckfirelaw.com. 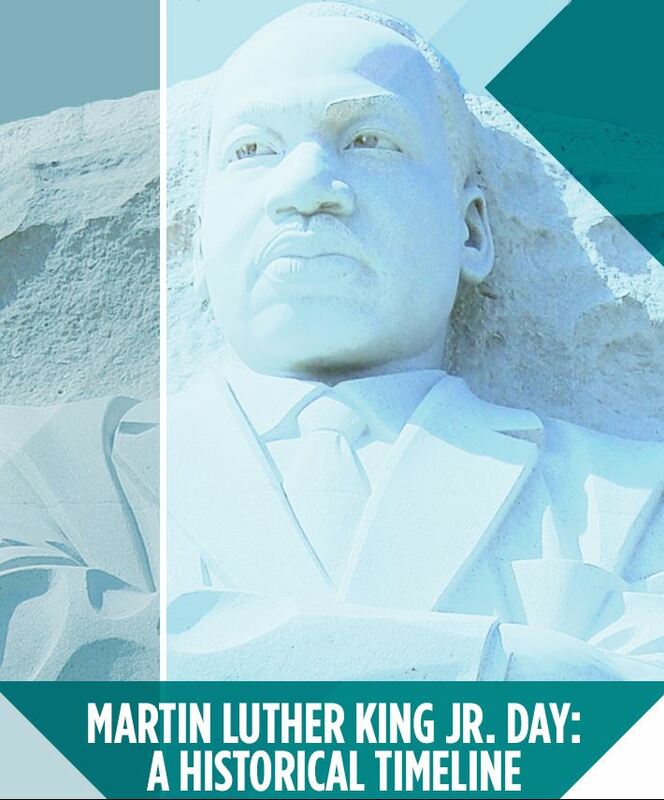 The MLK Day infographic is available for free download at www.BuckfireLaw.com (http://www.buckfirelaw.com/library/Martin-Luther-King-Jr-...) and can be used as a teaching tool for teachers, students and children of all ages. : Buckfire & Buckfire, P.C.